As couponing is a beneficial way to shop, coupon clubs has been rising up all over the US and even in other countries as well. Recently, a group of nine women shoppers from Petersburg and surrounding areas, formed their own coupon-clipping club and sat in their first meeting, which was held at the Petersburg Public Library situated at 201 West Washington Street. At the first meeting, the women were given instructions about the purpose of the club that they were a part of. In addition, they were treated to coupon information printed in newspapers and magazines. As the meeting progressed, the women had the go ahead to choose from an array of free coupons numbering in the hundreds that were carried to the meeting place. Among those free coupons were some that belonged to online coupon companies ChameleonJohn and others. The leader Sharon L. Johnson explained that the group came about as a means of providing education to club members concerning benefits that can be derived from coupon shopping. 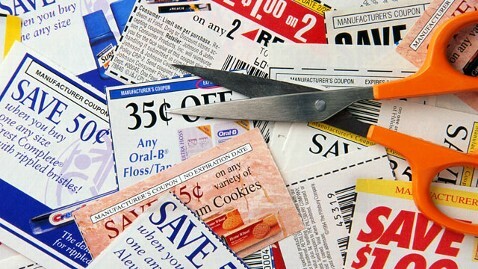 As an expert on sponsoring coupon classes that are free to the public, she takes pride in explaining to the group, the priceless opportunities they can get from coupon shopping such as savings, taking advantage of the coupon swap box, locating printed coupons, sharing coupon testimonies and discussing coupon news. Joining the club cost a one-time fee of $12 but Johnson explains that the “advantages are priceless” to anyone who is interested in coupon shopping. As the most experienced coupon shopper in the club, she makes herself available to members for one-on-one instructions from her so that each member can get a better grasp of the advantages of couponing. When the fee is paid, the new member will get an “asks the instructor” form as part of their package where he or she can write two or three couponing goals that he or she would like to see happen to him or her as a member of the coupon-clipping club. In return, Johnson will work with the member to ensure he or she reaches his or her goals. So far, the other eight women are comfortable with the coupon-clipping club. Wanda Coleman who joined the group for encouragement says that while she lacked consistency doing coupon shopping on her own, now that she is a part of the club she can get serious since others in the group shares her vision. She went on to say she thoroughly enjoyed her first meeting and was encouraged to attend others. Dade Denefield who lives in Hopewell said she was happy to attend her first meeting as it taught her how to organize her coupon book. Before the meeting, her main weakness was organization and being at the meeting she garnered from Johnson much on how to organize herself properly.